Cyber Writer: A Cautionary Tale. | Wendy J. Dunn, Award-Winning Author. Roderick Poole remarked in his July, 2012 editorial of The Victorian Writers, “The successful writers of the future will be those who keep up with the new development in digital technology and learn new skills and creating e-books for themselves and distributing them online” (p. 6). I agree with Poole that it is important for writers today not lag behind with technology if they wish for future success. Technology married to the Internet has birthed a new and exciting world for writers – a world that continues to rapidly evolve. In the last fifteen years, meteors from cyberspace have struck the landscape of publishing until it is virtually unrecognisable from the landscape of the past. Ignoring the Internet and how to use it to further their writing careers could result in emerging and even established writers gambling with professional extinction. But I will now share with you a cautionary tale from my own writing life about becoming a Cyber Writer. Let me start this story from the beginning, when I embarked on an adventure. At least, at the time, I regarded it as an adventure – a writing adventure that rocketed me into the unknown depths of cyberspace. I first dived into the online writing world in 2001, when I had an unpublished novel I wanted to see published. Emerging writers know how difficult it is to find print publishers for their work. Traditional publishing opportunities are limited and competition is fierce. There is a lot of writing talent ‘out there’ – so much talent that to seek publication often feels more like entering a ‘hard to win’ lottery; this was exactly how I felt when I was trying to find a publisher for my first novel, Dear Heart, How Like You This? Despite its dozen or so rejections, I had spent too many years committed to this novel to give up on it. I turned to the Internet as one possible way to lift my writing profile. Even over a decade ago, I had a strong sense that this new world opened the door to myriad opportunities and possibilities to writers, writers like me, trying to gain notice and move ahead in their writing careers. The first months of being connected to the Internet resulted in huge shifts in my writing practice. I discovered that e-mails could be used not only to pitch ideas and send work to editors, but also for research – taking my questions to people across the globe. I once e-mailed an English forensic scientist just to natter about Anne Boleyn’s bones. 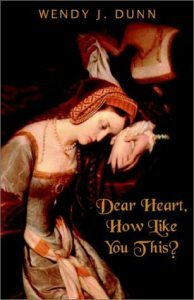 Early in my Internet explorations, I surfed upon a Canadian web site called Suite101.com and noticed an advertisement for a passionate writer who could write on Tudor topics. It seemed an advertisement written for me. Ever since my childhood, when a friend gave me a child’s book about British history for my tenth birthday, I loved learning about the Tudors. 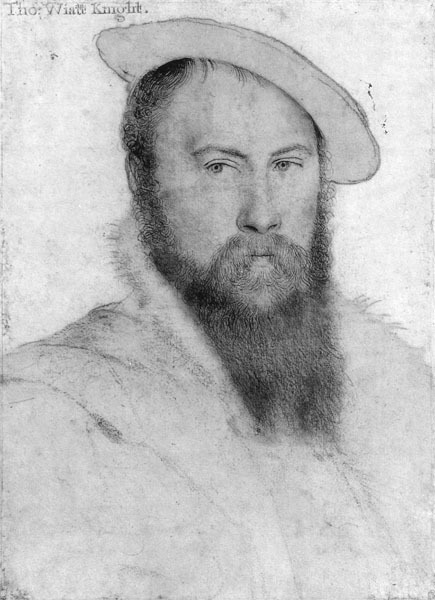 It was a love that – decades later – led to the writing of my first Tudor novel, a novel narrating the story of Anne Boleyn through the eyes of Sir Thomas Wyatt, the elder (my dead Tudor poet). It was a passion that pushed me to e-mail Suite101, asking for more information about their vacant position. Encouraged by Suite101 to begin their long and arduous application process, I’ll never forget asking myself, ‘What am I getting myself into?’ Only the knowledge that success meant gaining a regular writing column kept me from giving up. I completed the application’s final task, the article to launch my Tudor column, and hit the submit button. It was such a sweet moment when Managing Editor of Suite101’s History Area accepted my application and my first column was published. It didn’t matter then that their monthly compensation only paid enough to keep me on-line. I was writing about a lifelong passion for real readers. Three months later, my column had subscribers all around the globe. During my time, Suite101 was a global community of writers. This community was non-competitive and supportive, with veteran writers acting as mentors to the new writers. A year after starting my column, I became a mentor, too. My responsibilities at suite101 grew from writing a monthly column, to managing a team of writers to teams of writers. When I finally logged off from my Tudor England column for good, I was overseeing and editing the work of over fifty writers. I wrote my Tudor England column at Suite101 for over five years, a very, very long time in Cyberspace. It became my own writer’s playroom – where I could write anything as long as it was related to the Tudor Period. Writing a new article or faction piece every month made me more skilled and confident as a writer and gave me a published and respected reputation. I will always remember with immense pride that PBS, an American television station, once linked to my column for a series on the six wives of Henry VIII, describing it as “a treasure chest of Tudor sundries”. At Suite101 I felt respected, and well and truly part of a writing tribe – not only of the 900 plus writers who made up suite101, but also of the greater, global, community of writers who had an online presence. When I wrote for Suite101 it had a readership of over 250,000 subscribers, so it is not surprising that publishers and writers sent me their books to review and writers asked me to help them promote their books. I was also approached by print publications wanting me to write articles for them. Writing on-line also helped me achieve my life-long dream of becoming a published novelist. 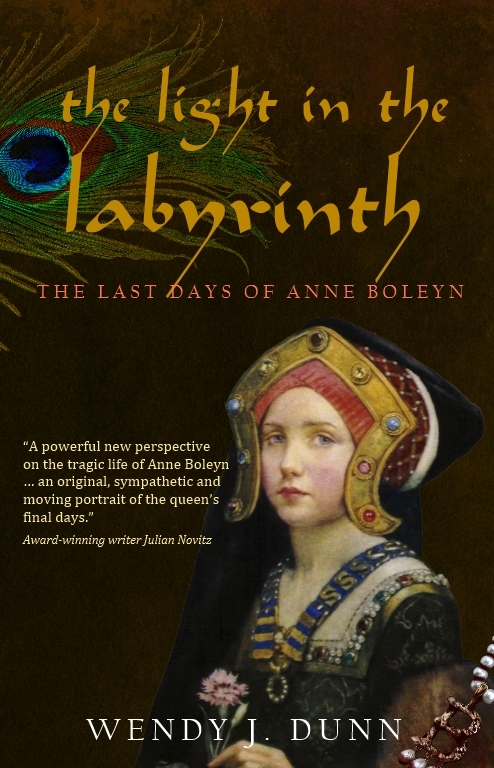 Twelve months after starting to write about the Tudor period, I dragged my novel out from its exile in the shoebox under my bed, started working on it again and sent it to a small American publisher. In my pitch letter, I wrote about my Tudor column at suite101 and its readership to this publisher. It helped seal the publishing deal that soon came my way. Finding a publisher for my novel will always make me not regret becoming lost as a writer in Cyberspace. But I did become lost. Writing a monthly column combined with overseeing the work of so many other writers gave me very little time to work on a second novel to follow the first. I spent so many hours online at Suite101 (my other world) that it impacted on my real world. My hours on the Internet induced an addictive and hypnotic mental state that competed with the other, more important hypnotic mental state necessary in the deep writing experience. The Brain that Changes itself discusses the experience of Internet addiction. While targeting computer gamers, nevertheless, I as a writer connected to the similarities. The Internet, I believe, provides an “easy fix” for writers when the pleasure dopamine is released in the brain by the act of writing (p. 39). I found that happened to me. I became an Internet addict. I would get up at dawn and log into Suite101 and work and work throughout the day. Finally, I had to ask myself was a slave to this site? Since the money I received from Suite101 was only enough to cover my Internet costs, it wasn’t hard to work out the answer. I saw clearly I had to move on from Suite101. I now find myself wondering if Suite101 had simply used my love of writing to keep me writing for free, for far too long. I asked myself, Was I one of many writers publishing on the Internet for no pay who might be unwittingly adding to the devaluing of writing that seemed to happening across the board? [T] he 21st century has brought writers to an important and often difficult intersection where the value of writing is progressively decreasing in a text-saturated society. It is possible the free content provided by Cyber writers is one factor in place threatening the publication of books, and may even preclude their “steady slide into oblivion” as predicted by David Mash (cited in Mash, 2003). This is not helped by the fact that there is a lack, as compared to print publications, of true “gate keepers” in the cyber writing world. Publish and be damned seems the creed of many cyber writers. My time at Suite101 was an invaluable writing experience. I not only learnt to write to a deadline, but I learnt about myself, about the craft of writing, about life. Writing in isolation is necessary part of writing, but no one creates their best writing in a vacuum. In my opinion, the best ways to grow in our craft are to write and learn from other writers. As Le Guin writes, “We writers all stand on each other’s shoulders” (2004, p 277). Because I know it is vital to have networks with other writers, a part of my writing life still involves social media. Through Facebook, Twitter and Goodreads, I maintain an Internet identity. But that identity is often silent because I am deeply involved in the craft of writing. The Internet is just one of those things that contemporary humans can spend millions of “practice” events at, that the average human a thousand years ago had absolutely no exposure to. Our brains are massively remodelled by this exposure (p 306). Moving on from my commitment to suite101 freed me to take my experience to new and far better writing opportunities. I discovered it was important for me to balance my practice writing events on the Internet with my real work of writing novels. I took on board the lesson that I should be cautious about giving my writing away for free. Brankica. 2011. Online income star. [ONLINE] Available at: http://onlineincomestar.com/post-every-day-increase-traffic/. [Accessed 27 August 12]. Norman Doidge, 2007. 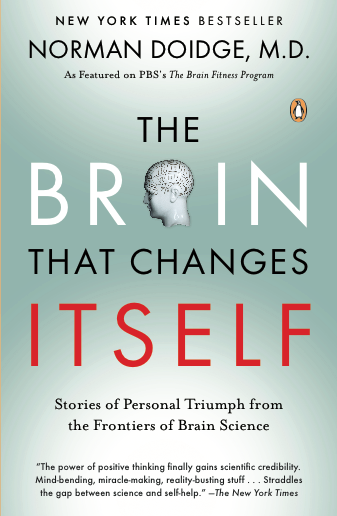 The Brain That Changes Itself: Stories of Personal Triumph from the Frontiers of Brain Science. 1 Reprint Edition. Penguin Books. Ursula K. Le Guin, 2004. The Wave in the Mind: Talks and Essays on the Writer, the Reader, and the Imagination. 1 Edition. Shambhala.